For long-time residents of Washington, DC’s Shaw/U Street, the neighborhood has become almost unrecognizable in recent years. Where the city’s most infamous open-air drug market once stood, a farmers’ market now sells grass-fed beef and homemade duck egg ravioli. On the corner where AM.PM carryout used to dish out soul food, a new establishment markets its $28 foie gras burger. Shaw is experiencing a dramatic transformation, from “ghetto” to “gilded ghetto,” where white newcomers are rehabbing homes, developing dog parks, and paving the way for a third wave coffee shop on nearly every block. Race, Class, and Politics in the Cappuccino City is an in-depth ethnography of this gilded ghetto. Derek S. Hyra captures here a quickly gentrifying space in which long-time black residents are joined, and variously displaced, by an influx of young, white, relatively wealthy, and/or gay professionals who, in part as a result of global economic forces and the recent development of central business districts, have returned to the cities earlier generations fled decades ago. As a result, America is witnessing the emergence of what Hyra calls “cappuccino cities.” A cappuccino has essentially the same ingredients as a cup of coffee with milk, but is considered upscale, and is double the price. In Hyra’s cappuccino city, the black inner-city neighborhood undergoes enormous transformations and becomes racially “lighter” and more expensive by the year. Part II: What’s Going On? Part III: What Does It All Mean? "Hyra is a scholar activist par excellence––he worked as an organizer in DC for many years; his frontline experience, sensitivity and understanding is evident through the book. He is also an ethnographer in the tradition of Swedish anthropologist Ulf Hannerz and US anthropologist Elliot Liebrow, who produced classics based on Washington, DC’s Shaw/U Street neighbourhood. Also looking at DC’s Shaw/U Street neighbourhood, Hyra sets out to investigate the complex strategies people adopt as they struggle to survive, no longer just surviving in poverty as in the 1960s, but now also surviving the threats from gentrification. . . . Hyra’s book is political, but in a grounded and more strategic way. This is a great book which all critical urbanists should read." "Race, Class, and Politics in the Capuccinno City by Derek Hyra focuses on whether gentrification benefits low-income residents who remain in place. Hyra’s core argument is that the poor rarely benefit from gentrification. . . . The book benefits from its ethnographic approach. Hyra was able to probe into the dynamics of neighborhood change at the level of the individual household better than more quantitative studies. . . . I would consider this book to be among the top two recently published social science books, the other being Evicted by Matt Desmond (2016). Cappuccinno City will be an excellent supplementary text for planning, urban studies, and related fields." 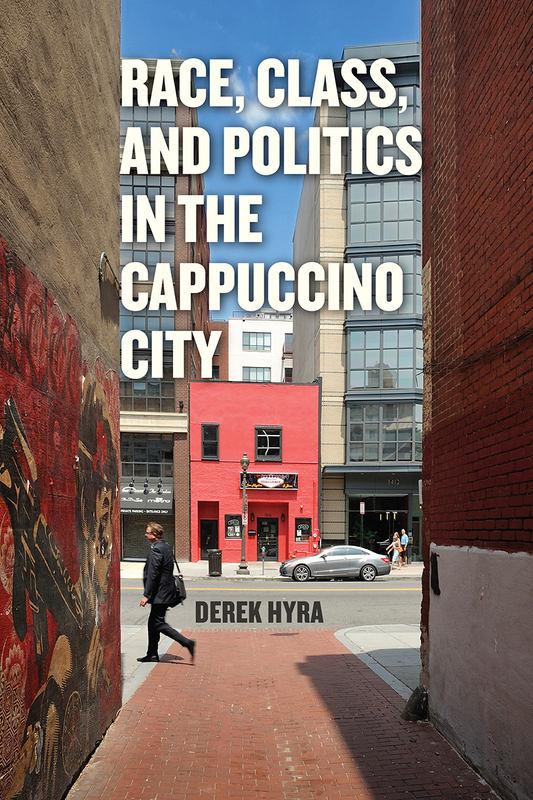 "Derek Hyra’s Race, Class, and Politics in the Cappuccino City is a welcome and necessary addition to this growing line of inquiry. Hyra’s exploration of gentrification in Washington, D.C.’s Shaw/U Street neighborhood presents a multifaceted account of the process by which iconic ‘‘dark ghettos’’ are transformed into ‘‘gilded ghettos’’ and the implications of the process for longtime black residents. . . . This book is an invaluable resource for scholars and students of cities, policy-makers, and those interested in Washington, D.C.’s distinctive political and economic history."